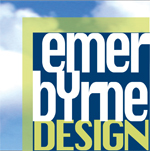 EmerByrneDesign does not collect any personal data from visitors to our website. By visiting this Website, you are accepting the terms of this Statement. Any external links to other websites are clearly identifiable as such. We are not responsible for the content or the privacy policies of those other websites and it does not constitute an endorsement of that website by EmerByrneDesign. Some pages on theEmerByrneDesign website include links to third-party websites. These sites are governed by their own privacy statements, andEmerByrneDesign is not responsible for their operations, including but not limited to their information practices. Users submitting information to or through these third-party websites should review the privacy statements of these sites before providing them with personally identifiable information.